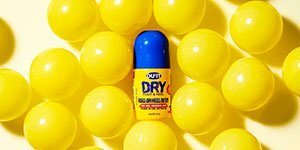 10 Ways To Combat Dry Skin: It may not seem like a really big problem in the grand scheme of things, but those suffering from dry skin know just how irritating and problematic it can be. Dry skin occurs when skin doesn’t retain sufficient moisture. This can happen as a result of frequent bathing, use of harsh soaps, ageing, or certain medical conditions. And for those in colder climates, it can stem from cold, dry winter air. You never want to go too rough when exfoliating dry skin to avoid damaging the skin, and you also want to stay away from heavily perfumed skin care products and those containing alcohol, that strip away natural oils. 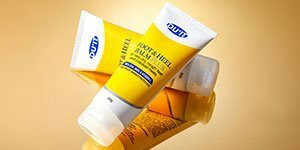 We recommend our DU’IT Tough Scrub, fortified with premium skin conditioners and lemon tea tree oil to inhibit bacterial growth. The natural walnut and pumice formula won’t dry or irritate the skin, leaving you skin silky smooth. Limit yourself to one 5 to 10 minute shower daily and avoid using water that is very hot or cold. If you shower more than that, you may strip away much of the skin’s oily layer and cause it to lose moisture, making it very dry. Even if you are quick in the shower, use non-perfumed hygiene products and gently dry your skin with a towel, some of the natural skin oils will be washed away, leaving you somewhat dry. This is why moisturising is so important. 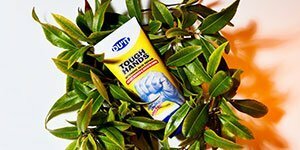 We recommend DUIT Tough Hands a scientifically proven formula to repair dry, rough, irritated hands and body. Visible effects within 5 days! Oils from a variety of different fruits are frequently used in aromatherapy to help transfer essential oils into the skin and seal it in. These oils will help your skin hold moisture better, keeping it soft and smooth for longer. Shaving skin without a shaving cream is the fastest way to irritate it, which can cause redness, soreness and pimples to form. Your skin should be still somewhat wet when the shaving gel is applied, and make sure to use plenty of it. We all like to spend a lot of time outside the house during Summer, however, you should avoid sunbathing for extended periods of time during the hottest hours of the day. It’s best to sunbathe later in the afternoon, as you can get the same effect without the added risk to your skin. In order for your body to properly regulate itself, and things like skin moisture are a part of this auto regulation process, you need to feed it the right nutrients. Vegetables and fruit contain a good deal of water, various vitamins and minerals, as well as antioxidants, which can help keep your skin healthy. Foods containing high amounts of omega-3 fatty acids and vitamin E – like olive oil, nuts and avocados – are particularly good for keeping your skin smooth, soft and well-moisturised. 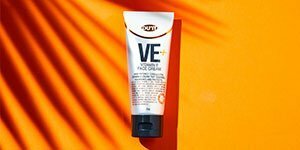 External factors like the weather can have a huge effect on your skin. Exposure to the cold, dry air and the harsh wind will dry out your skin very quickly and caused it to crack. This is why it is important to have a good pair of gloves with good insulation. Some people just can’t stand the cold, and they really heat up their homes in the winter. All that heat also dries out the air, so be sure to get a decent humidifier to ensure that the air isn’t too dry.